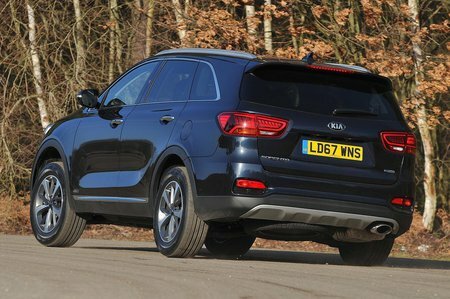 Kia Sorento GT-Line S Review and Deals 2019 | What Car? This top-of-the-range trim adds to GT-Line a self-parking system, an around-view camera, adaptive cruise control, rear side window blinds, ventilated front seats, automatic emergency braking, rear cross-traffic alert, a powered tailgate, wireless phone charger, LED headlights and an upgraded stereo. It’s too expensive to recommend.